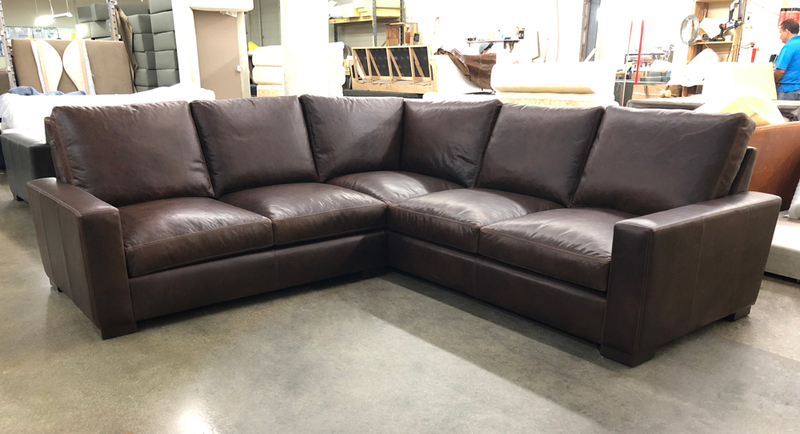 Berkshire Cocoa is a very natural leather, un-corrected and aniline dyed, with color variation, natural markings and scars present. 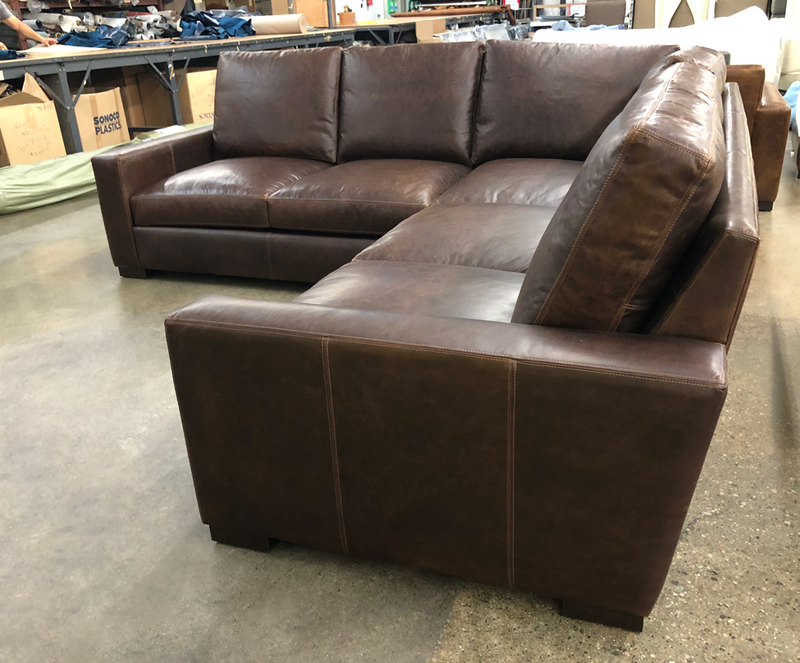 This soft, matte finish leather scratches, marks and distresses, developing an amazing natural patina that can only be earned with time and use. 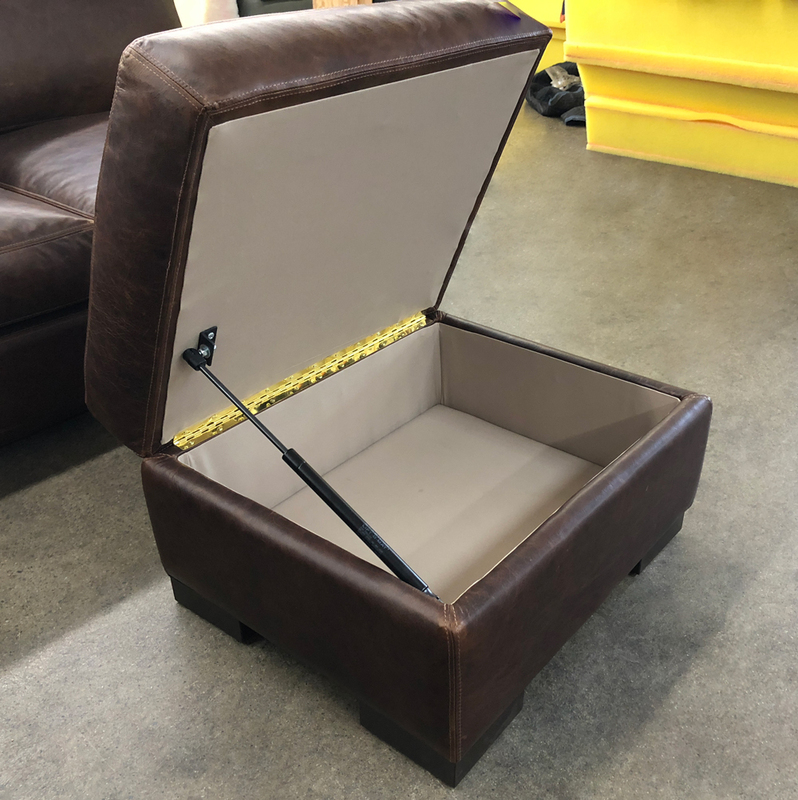 Adding the matching storage ottoman provides some added functionality in a small, beautiful package (see image further down). 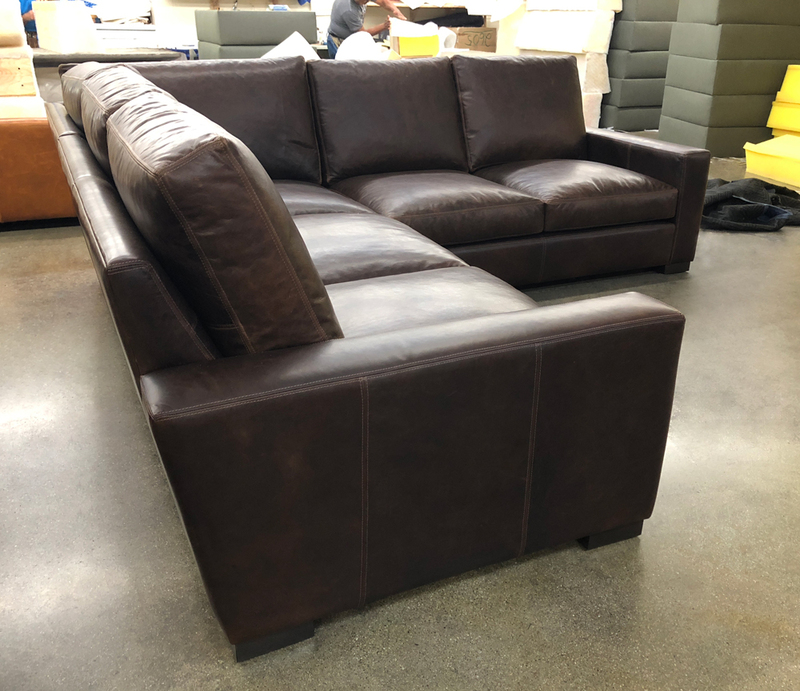 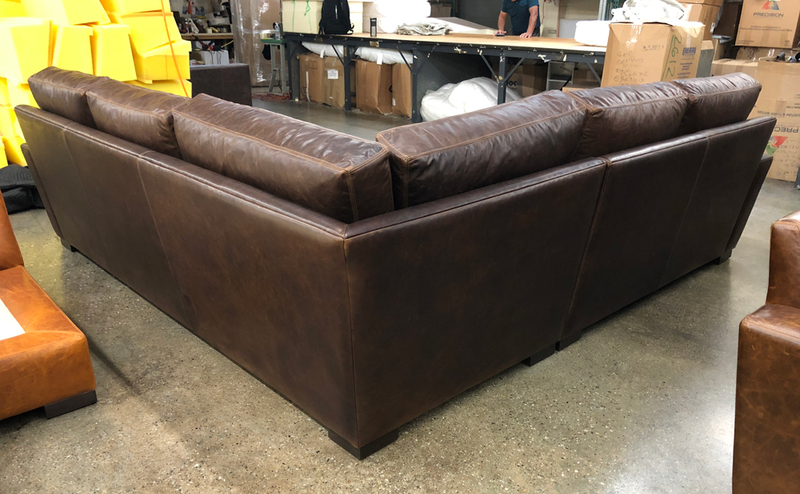 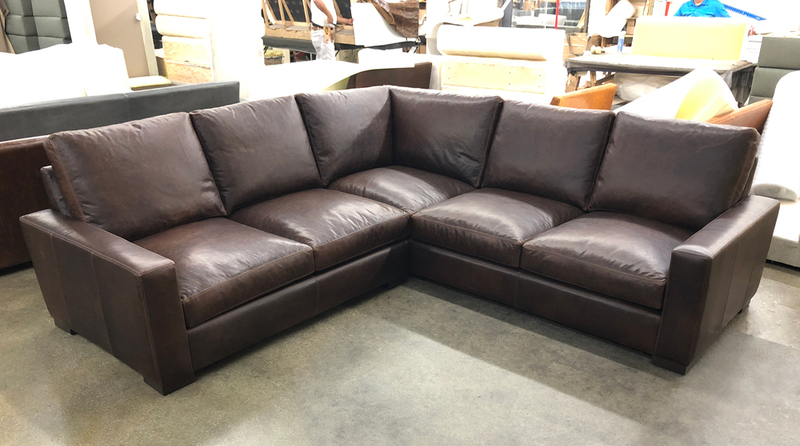 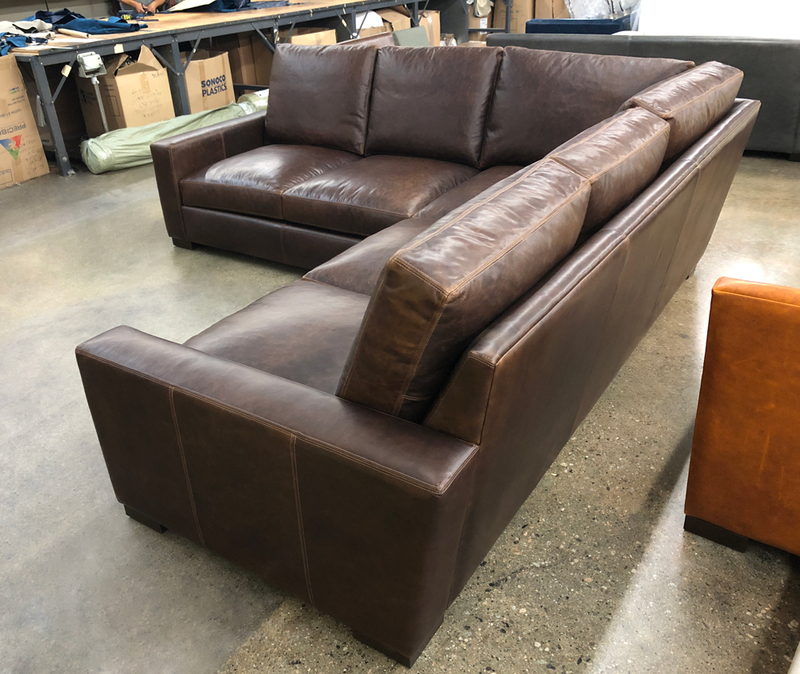 This entry was posted in Braxton, Custom Leather Order Feed and tagged 43" Deep, Berkshire Cocoa, braxton collection, braxton corner sectional, full aniline, full grain leather, Italian Berkshire Cocoa, Italian Berkshire Leather, No Ears on August 28, 2018 by LeatherGroups.